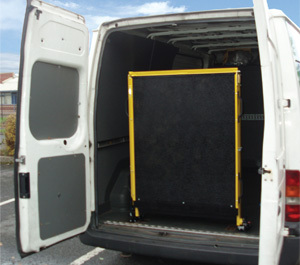 The Fixed Solid ramp is part of our van loading ramp range. This ramp is ideal for industrial and heavy use as it has a Safe Working Load (SWL) of 750kg. Fixed van ramps are available in all combinations, shapes and sizes. Contact us if you have specific requirements.